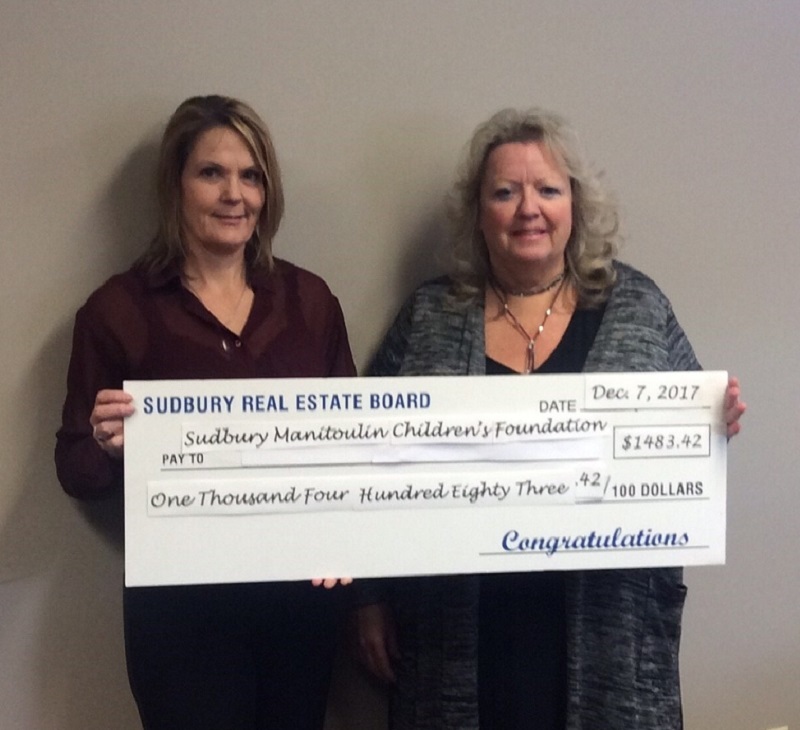 A cheque was presented to the Sudbury Manitoulin Children’s Foundation on behalf of the Members of the Sudbury Real Estate Board from the REALTORS Care® Foundation. Accepting the cheque on behalf of the organization, was Anne Salter Dorland. Presenting the cheque on behalf of the Sudbury Real Estate Board was 2017 Interim President, Caroline McDonald. “The ‘Send-A-Kid to Camp’ Program is designed to encompass the entire camping experience by covering all camp fees, assisting with transportation to and from camp, and providing basic necessities and sleeping bags for children who may need them.